Very Good. 033026737X ALL BOOKS SHIPPED WITHIN 1 DAY OF PURCHASE! Good. -corners bumped and covers rubbed and shelfworn-page edges toned-previous owners sticker inside front cover and blind embossed stamp to title page-Book ow/ solid, clean and content unmarked-192 pages. 12mo. Very Good. Psychoanalysis: The Impossible Profession (Picador Books) by Malcolm, Janet, 1982-02-12. 192 p. Picador Books . Illustrations. Intended for professional and scholarly audience. Good. 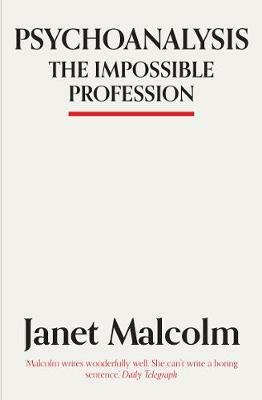 Psychoanalysis: The Impossible Profession (Picador Books) by Malcolm, Janet, 1982-02-12. 192 p. Picador Books . Illustrations. Intended for professional and scholarly audience.